As asset allocation specialists, Nottingham crafts global, multi-asset class portfolios from both index-based vehicles, such as exchange-traded funds (ETFs), and actively managed mutual funds. Our global index-based strategies, as well as our Select Managers Program, are available to advisors and investors via separately managed accounts (SMAs). 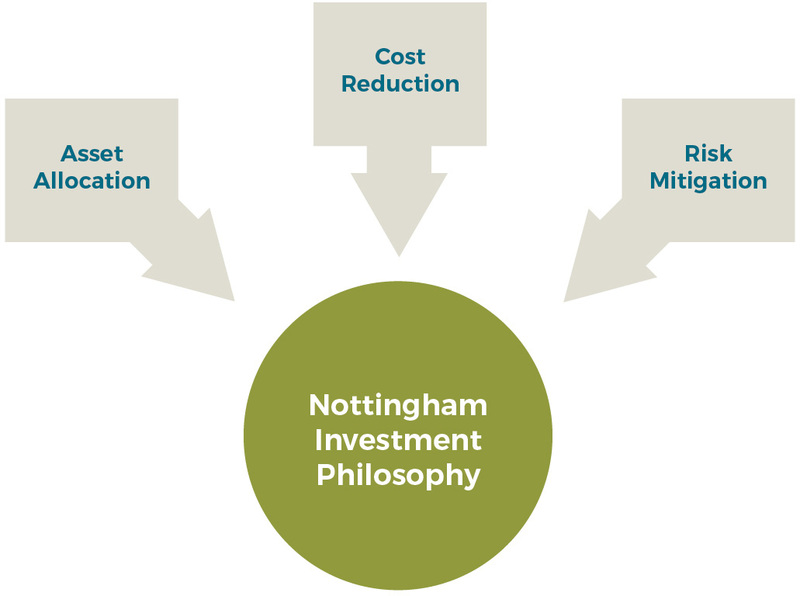 Regardless of the choice between index and active, Nottingham develops portfolios with two distinct components. The portfolio’s core, or strategic allocation, seeks to efficiently and cost-effectively replicate market risk and return (the beta). The core may contain equity, fixed income or a combination of the two, as determined by the investor’s risk tolerance. In conjunction with the core holdings, Nottingham selects various satellite or tactical exposures with the intent of delivering returns in excess of the market (the alpha). 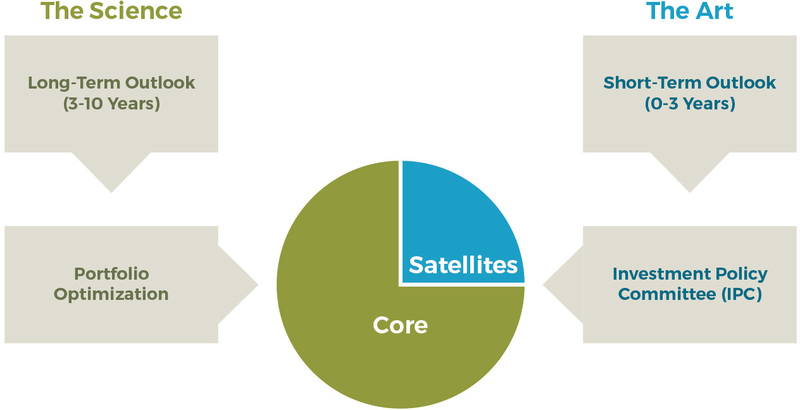 The core typically makes up approximately 75% of the portfolio, while the satellite holdings comprise the balance.